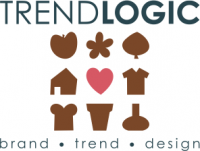 SEMINAR FOR HOME & LIVING « Trendlogic bv. WHAT: Essences for future interior and decoration items, utensils, even household items. PURPOSE: translating clear design opportunities. This translation of the zeitgeist is at a higher level of abstraction. FOCUS: A translation of time spirit to consumer trends, with product trends in particular. Home & living, fashion, food and horticulture are focal industries. Crossing the sector is a surplus value. Recently, lectures have been developed with a focus on trends in cycling, shoes and graphic developments. WHO: Anyone who works in the beginning of the design process: strategists, marketers, stylists, interior product developers, manufacturers, buyers, sellers, designers, and stand designers; anyone who makes living more beautiful.